Mariya Group of Architects is a team of dedicated professionals engaged in consultancy services in the field of Architectural and Interior Designing, with a wealth of project and development experience. 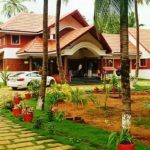 Established in the year 1992 in Kannur Kerala and headed Ashique Mamoo who specializes in Landscaping, Interior designing, house plans and Traditional Architecture. 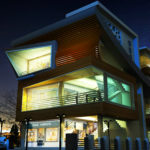 Mariya Group today renowned as one of the most creative Architects with Architectural design firms in South India. Head Quartered at Kannur, the Group now has offices in Ernakulam, Calicut, Irikkur and also Abu Dhabi, UAE. With more than 300 on-going projects across Kerala,Tamil Nadu,Karnataka and UAE(Dubai,Abu Dhabi,Sharjah,Al Ain & Ras Al Khaimah) Mariya Group has the ability, expertise and talent resource to handle projects of all kinds and sizes, in any location. When modern architecture was first practiced, it was an avant-garde movement with moral, philosophical, and aesthetic underpinnings. Immediately after World War I, pioneering modernist architects sought to develop a completely new style appropriate for a new post-war social and economic order, focused on meeting the needs of the middle and working classes. They rejected the architectural practice of the academic refinement of historical styles which served the rapidly declining aristocratic order. The approach of the Modernist architects was to reduce buildings to pure forms, removing historical references and ornament in favor of functionalist details.